Harper Simon On Mountain Stage Simon is by no means a newcomer to the music business — he's recorded with Menlo Park, and with Edie Brickell in The Heavy Circles. Hear songs from his self-titled debut on West Virginia's most famous stage. Harper Simon is by no means a newcomer to the music business — his father is Paul Simon and he's performed with Edie Brickell in The Heavy Circles. 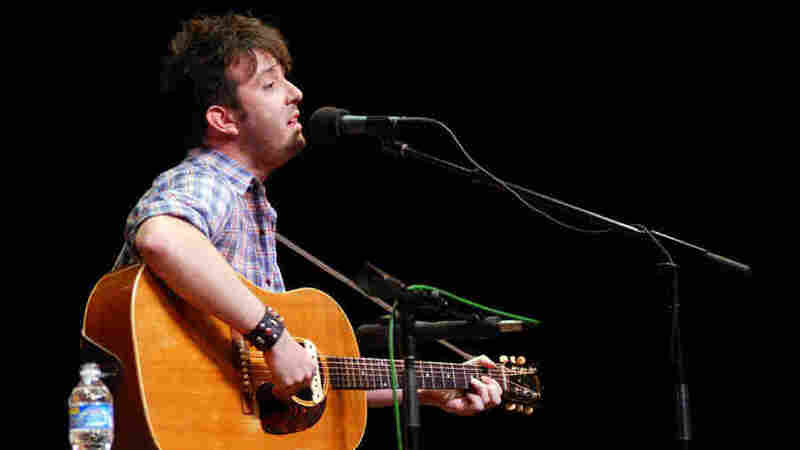 In this Mountain Stage visit, Simon performs songs from his self-titled debut album, which came out in 2009. Simon enlisted Bob Johnston, producer of many landmark records (Bob Dylan's Nashville Skyline and Simon & Garfunkel's Sound of Silence, among many others), and a crack team of studio musicians, which included West Virginia-born harmonica master Charlie McCoy. Simon begins with Woody Guthrie's "I Ain't Got No Home," before touching on three tracks from Harper Simon. While the album features vast production and large-scale band recordings, Simon is heard here in a solo acoustic performance highlighting his delicate voice. This segment originally aired April 16, 2010.